Cloudcroft New Mexico is perhaps my favorite place on the planet. Even this gloomy summer rain was breathtaking. Julianna how beautiful! I been theorizing how to create the illusion of fog or mist. I know I should be playing around with my pastels in stead but I’ve gotta get an idea first. Would simply using greyed colors with blurry boarders work? I can’t think if a way to overlay the fog on existing scene without muddying the painting. Any advise? 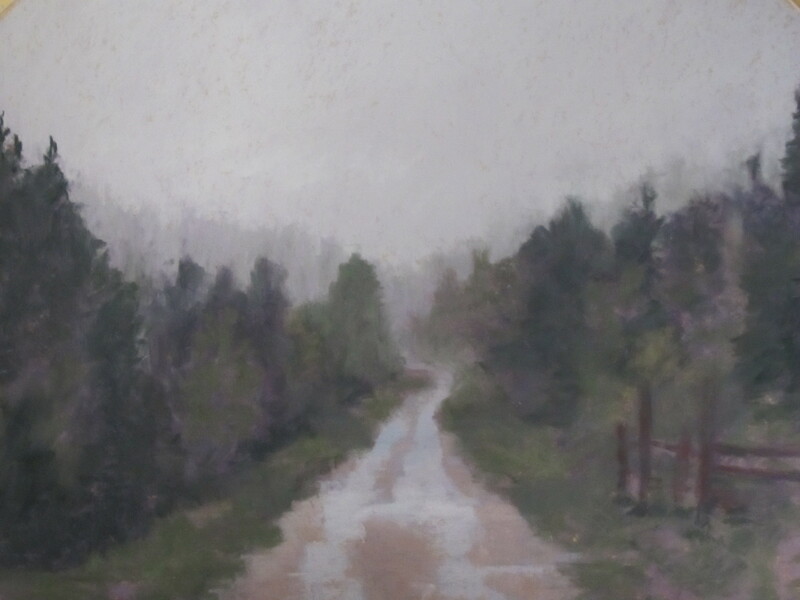 Nancy, I think a great way to depict fog is to do an underpainting in a value of all the same color (I like a grey violet), and then paint the true colors on top. That’s lovely. I was in Ruidoso last September. We debated visiting Cloudcroft but did not. Next time! It’s sometimes hard to appreciate a rainy day, but this painting can help.